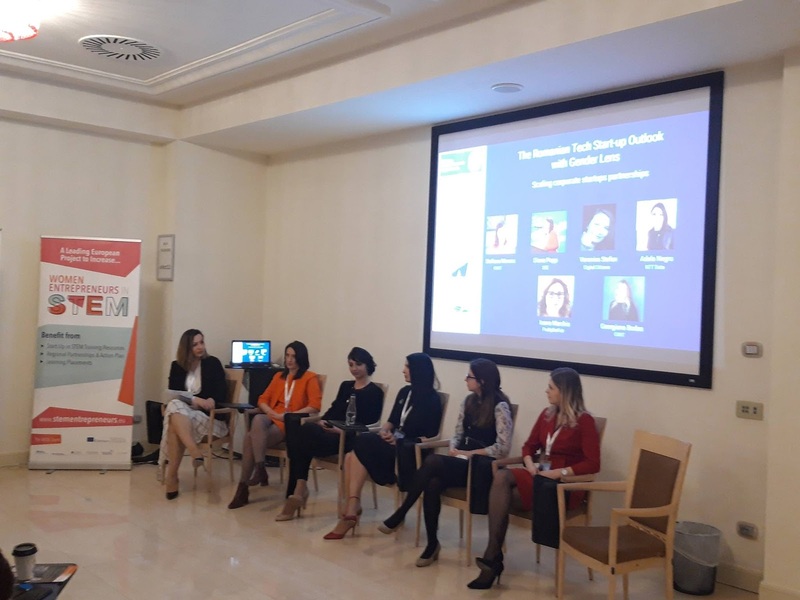 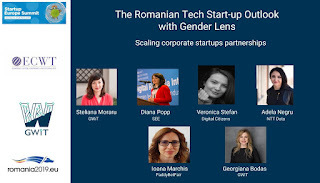 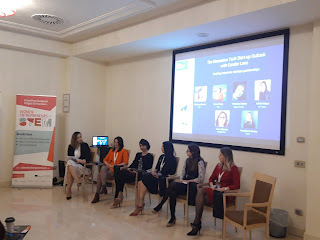 Together with Global Women in Tech partner, European Centre for Women and Technology, we hosted the panel: Romanian Tech Start-up Outlook with gender lens as side event during Startup Europe Summit 2019 tackling 2 main topics: Startups - Starting local, going global and Scaling corporate startups. 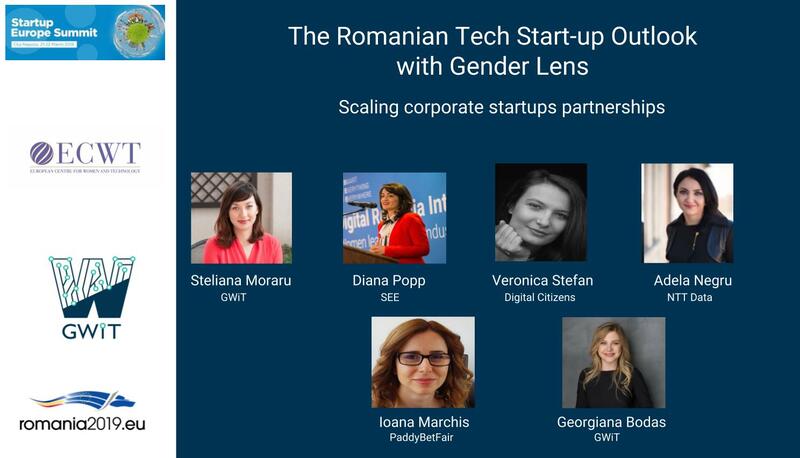 We are very grateful to all the speakers who shared their experience, presented the real-life situations they experience and pointed out the main challenges they are currently addressing through their startups, NGOs or companies. 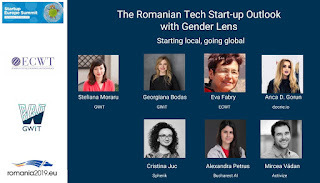 Two main ideas to start working on after this event: education in the field and role models as ways to change the perspective and leverage all the untapped potential of diversity in technology.